The modern Pateo Village on the outskirts of Albufeira is a good choice if you want to get away from it all. 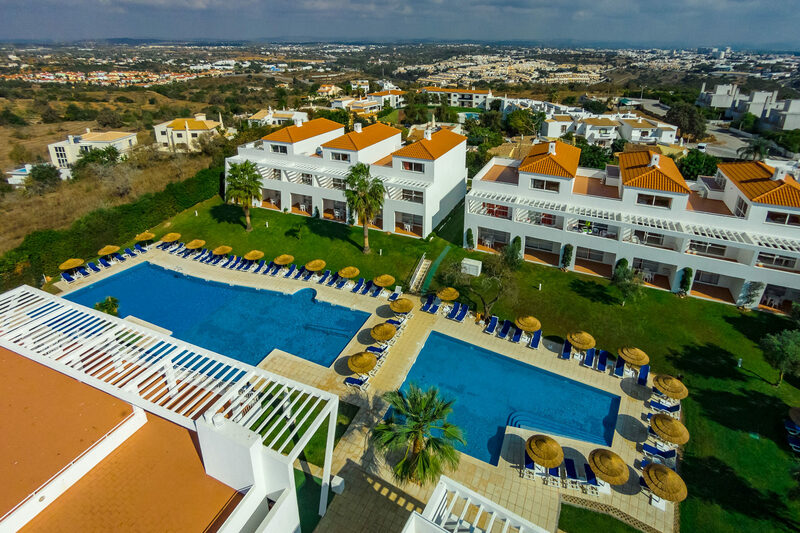 This 3 star complex is set in lush gardens and offers a plenitude of facilities for relaxing family holidays in the Algarve. The swimming pool scene is the real crowd pleaser. There are two interlocking pools outdoors, each lined with sunbed filled terraces. The little ones have a pint sized pool to splash around in and there is a Jacuzzi for the grownups. The indoor pool is a welcome place on cooler winter days. On the sports front, there is everything from tennis and football to table tennis, snooker and a games room. The playground is perfect for the children to burn off some energy. Keeping your family up to date with your holiday fun is easy; there is free Wi-Fi connection in the public areas. The apartments themselves are spacious and modern. Each comes with all the latest modern touches and a kitchenette to rustle up a snack or two. If cooking is not in your holiday plans, the onsite snack bar offers a full menu of hot and cold dishes. A lounge bar and occasional evening entertainment complete the picture. Discover why the Pateo Village is a popular place to stay for holidays in Portugal. 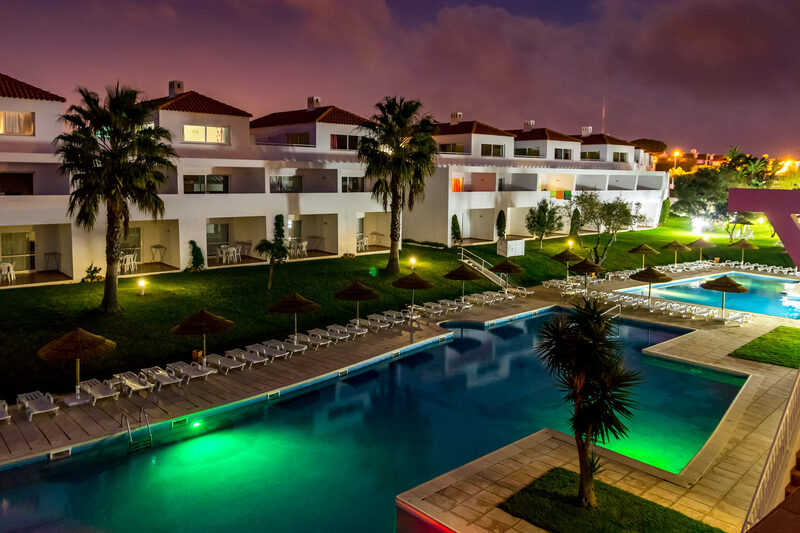 The Pateo Village has all the facilities you would expect from 3 star Portugal holidays. Highlights include: A large outdoor swimming pool with sun terraces, sunbeds and a Jacuzzi, gardens, indoor pool, multi sports court for tennis, football and basketball, poolside snack bar, lounge bar, mini market, kids playground, laundry, games room, table tennis, snooker, parking, telephone, free Wi-Fi in public areas, 24 hour reception with currency exchange, excursions, car rental and airport transfers, and a bus service to Albufeira Old Town and the world famous strip. The hotel has a total of 75 one bedroom apartments. 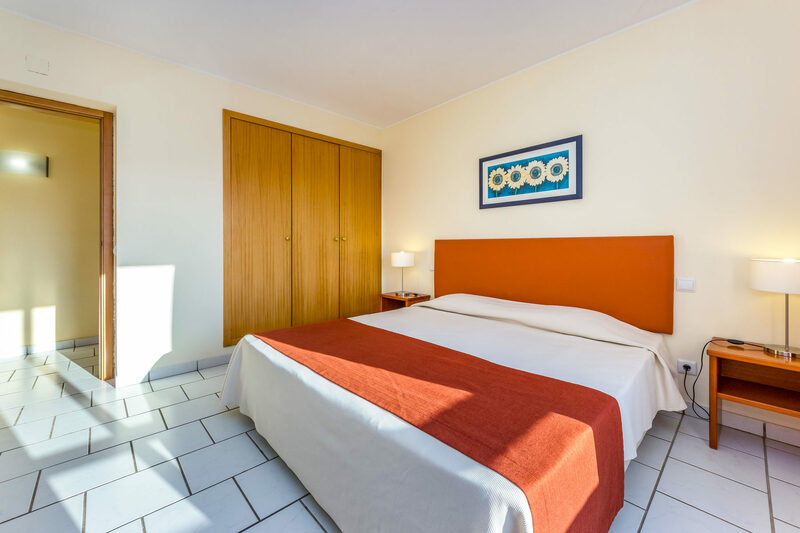 All apartments feature a fully equipped kitchenette with microwave and electric toaster; satellite TV, telephone, safe and a cleaning service five times weekly. 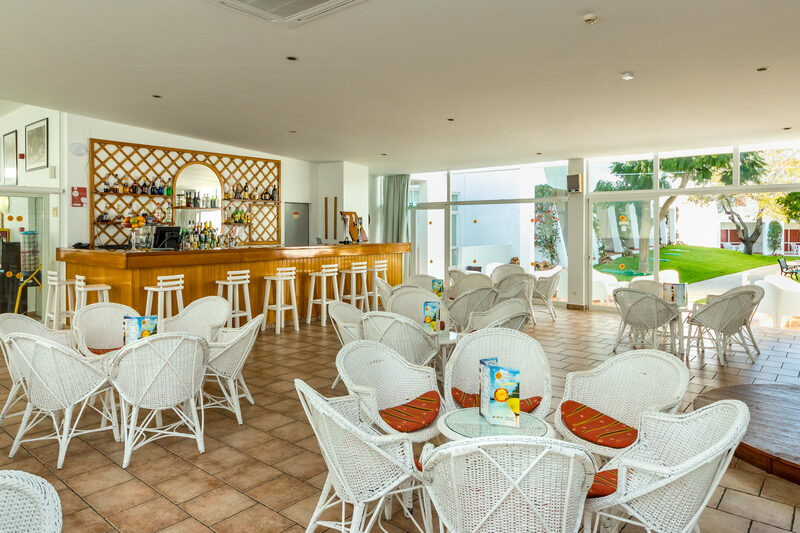 There is poolside snack bar for light bites and the lounge bar serves a full menu of hot and cold beverages. Evening entertainment includes occasional live music and karaoke.